In order to be a good teacher, one needs to consider the best interests of one’s students before everything else. Teachers want nothing but success for their students and they strive to provide a safe and nurturing environment that will foster growth and learning. All you need to see is the look of pride on a teacher’s face when presented with a students success and you will know how much they really care. An ancient Chinese saying tells us that a “brilliant teacher means a brilliant student”. The Chinese have always invested in the education of their children and would do whatever they could to ensure the child’s success in the learning environment. This is where the ancient practice of Feng Shui would come into play. These are some of the ways that the teachers created spaces that were most conducive with learning. The Universal Education Sector (according to feng shui) is located in the Northeast corner of any space. Use a compass to make sure your have your directions pinpointed. The Northeast corner can mean that corner in the classroom, that corner on a work area like a school desk or even the Northeast corner of the school. All are areas that can be beneficial for academic performance. Chi, or “feng shui energy”, can be directed and when a smooth flow is achieved, the “blockages” that can mean less effective learning, will naturally be swept away in the energy current. To “energize” the Northeast corner learning space, decorate the area with earth colors such as greens or browns and since the “governing element” of that corner is “small earth”, this would be a great spot to place your classroom’s globe. Bright lights and the color red will also help energize the space. Use the Kua Calculator to determine your Fu Wei Direction and also the direction for each of your students. The Fu Wei Direction is also known as the fourth best direction. Make sure your students desks face their personal direction and yours as well. Also make sure you face your Fu Wei Direction while teaching your class. You may be surprised just how much the learning environment will improve. 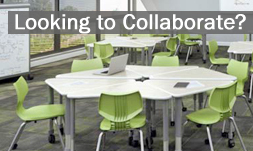 The student desks that you use in your classroom are important parts of your student’s learning. This is their personal space away from home. Some very simple, basic applications of feng shui can greatly enhance a learning environment and it can become a space which the students will flourish. Contact us for all your classroom furniture needs and we will throw in some feng shui for good measure and you will soon be known as the teacher with the dynamic learning environment in their classroom!